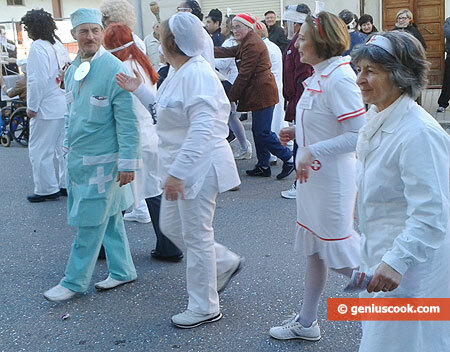 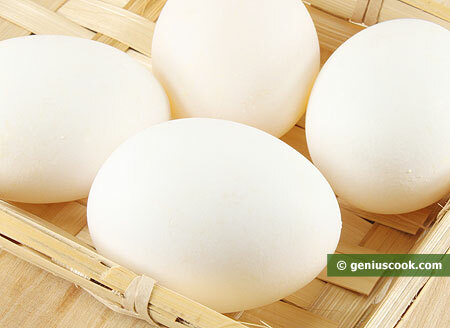 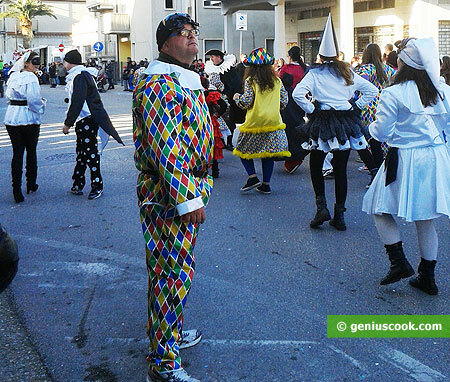 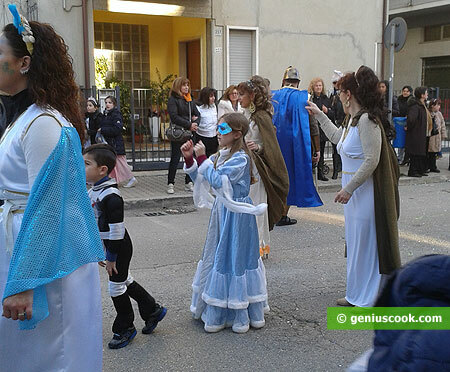 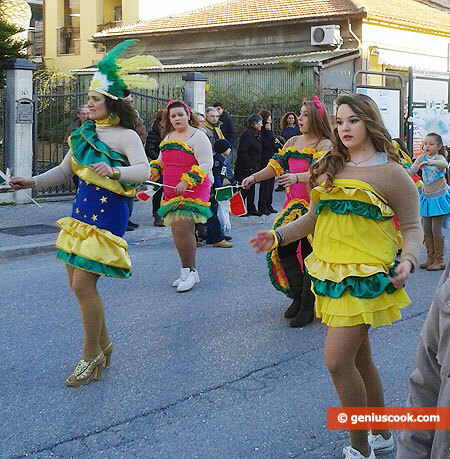 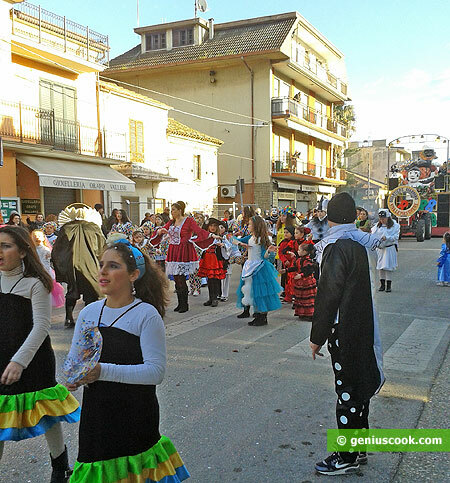 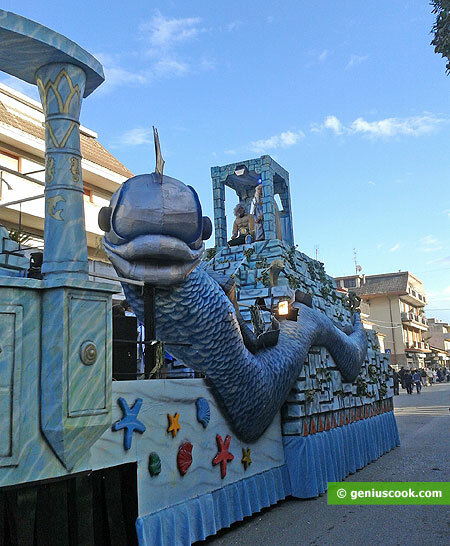 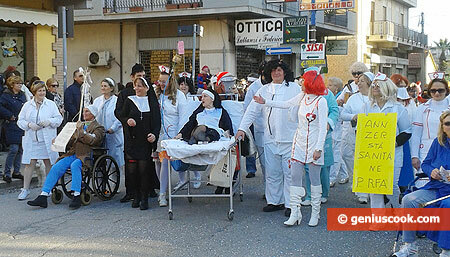 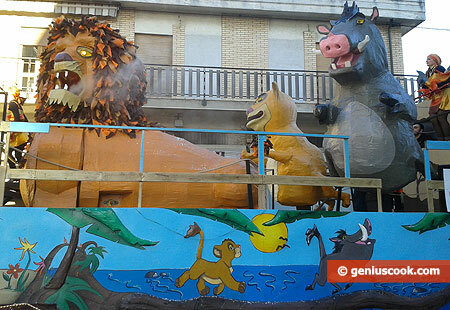 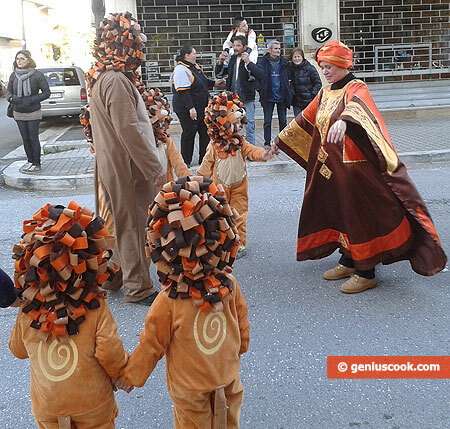 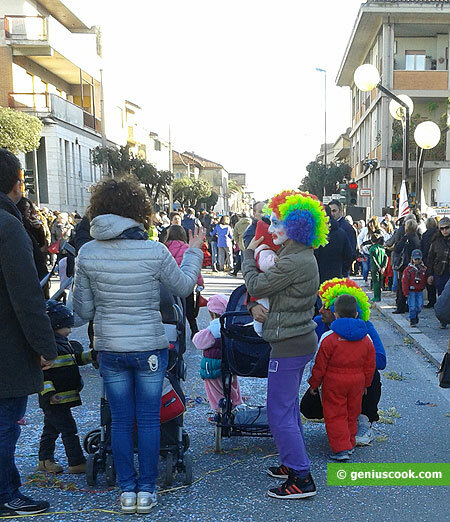 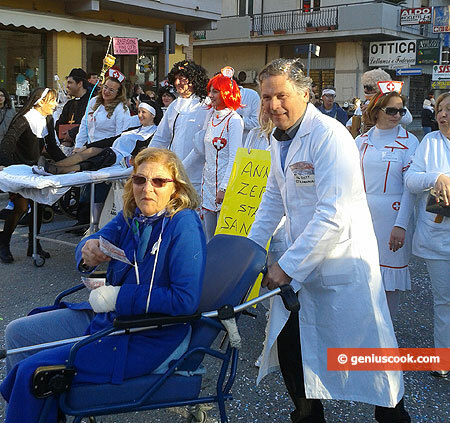 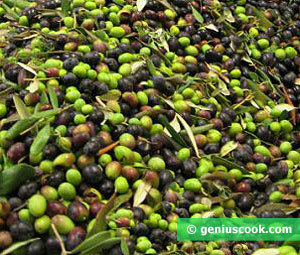 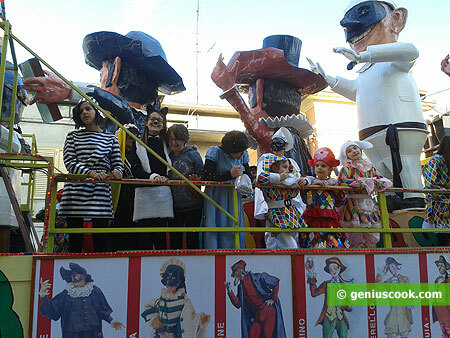 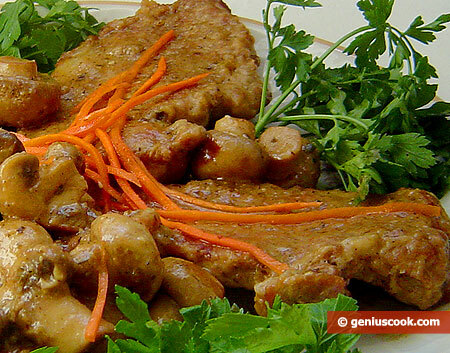 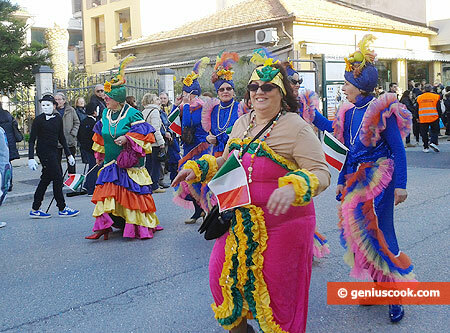 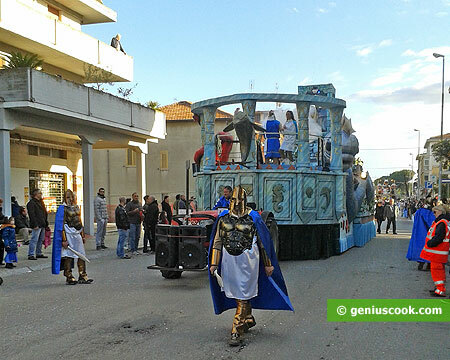 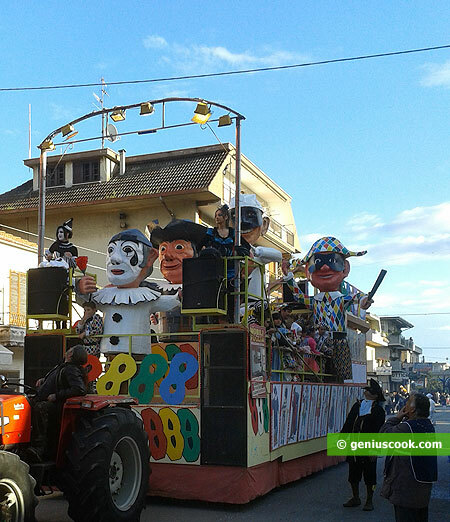 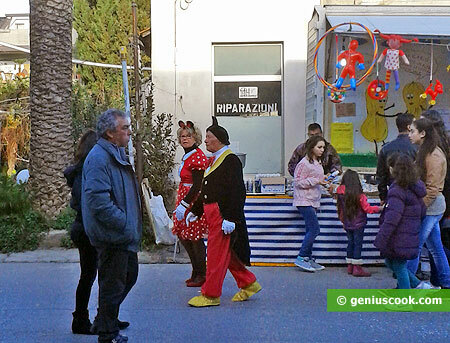 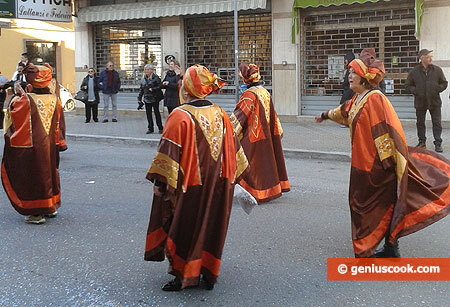 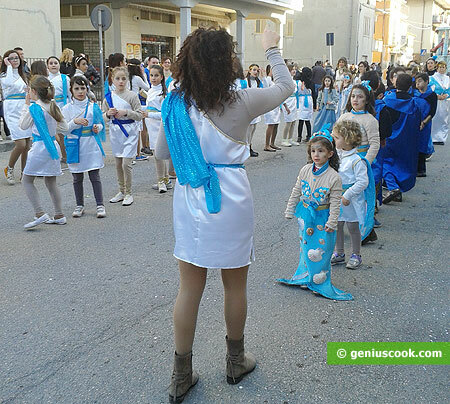 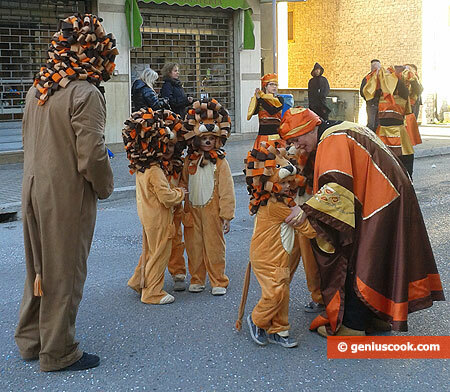 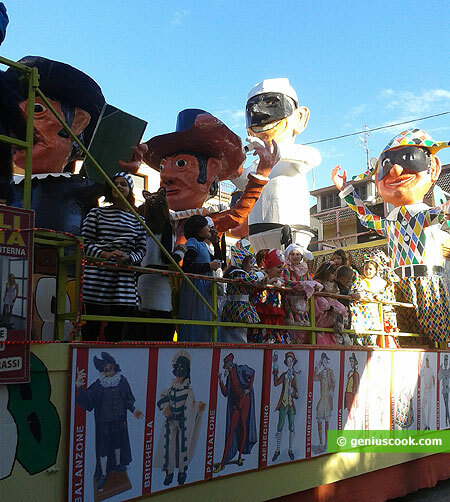 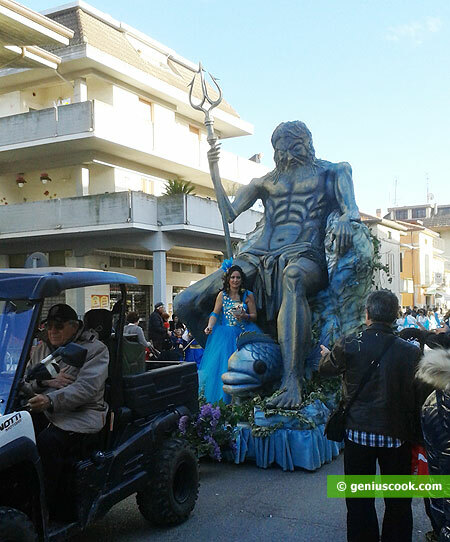 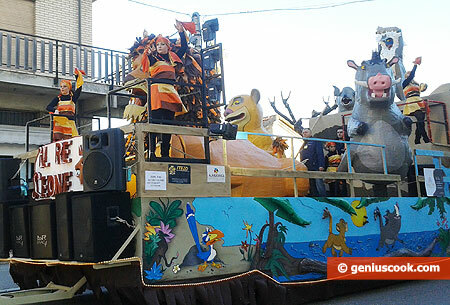 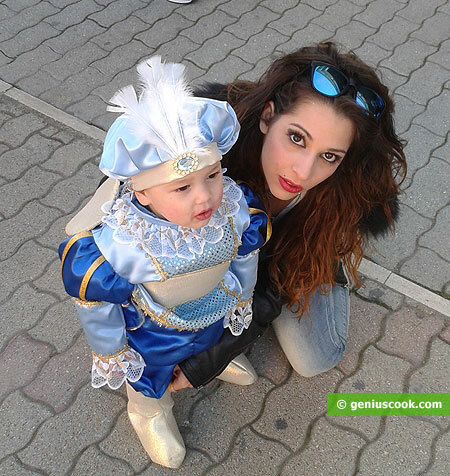 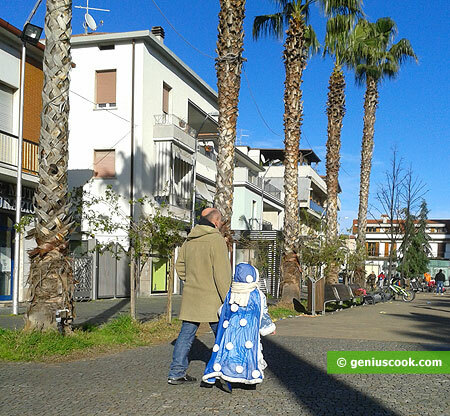 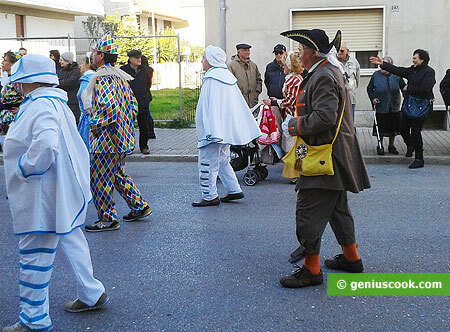 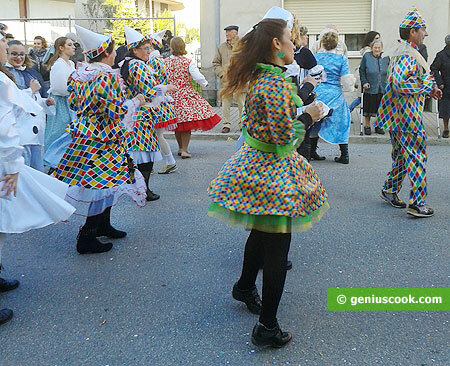 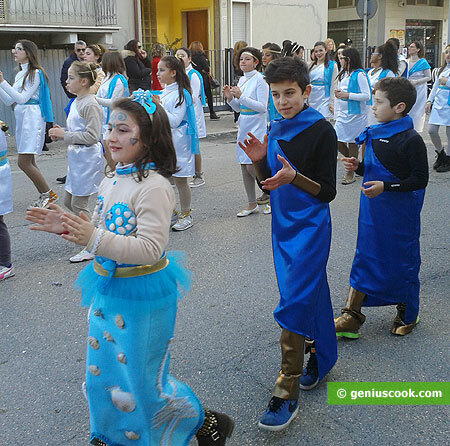 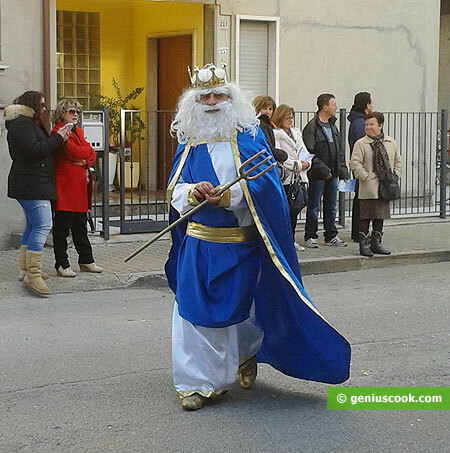 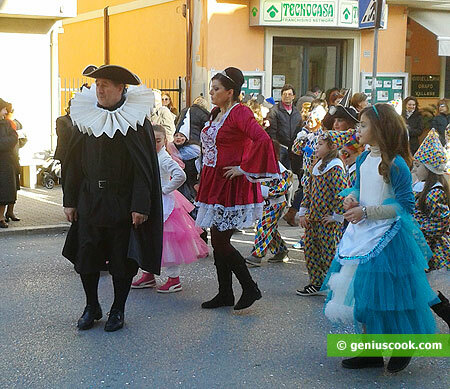 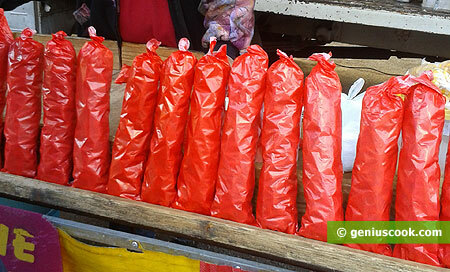 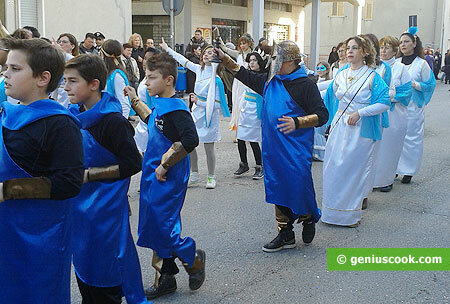 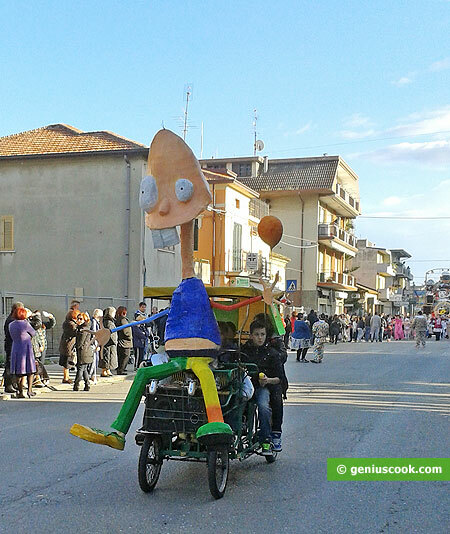 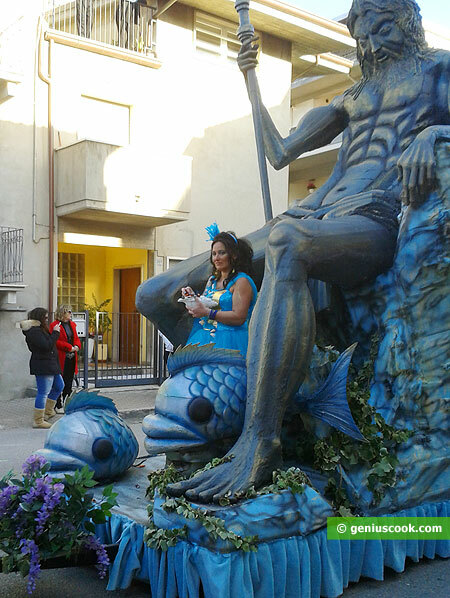 Traditional annual carnivals are held throughout Italy in February-March. 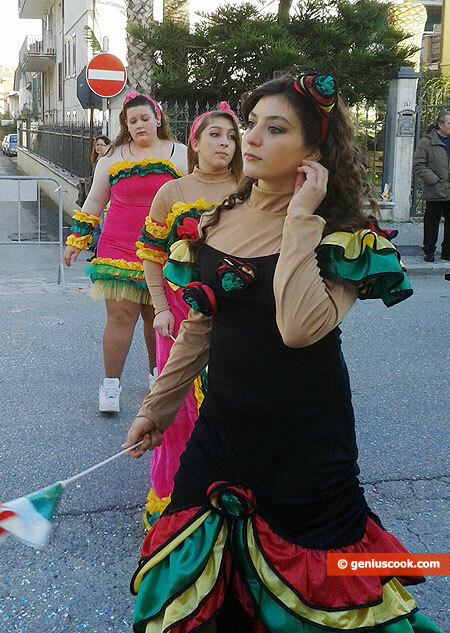 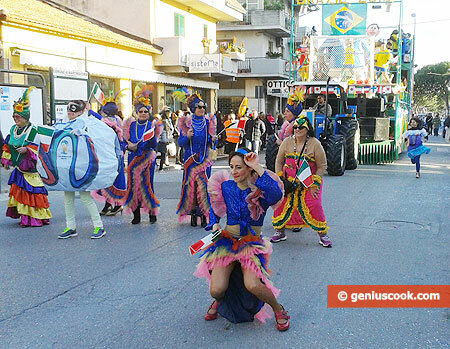 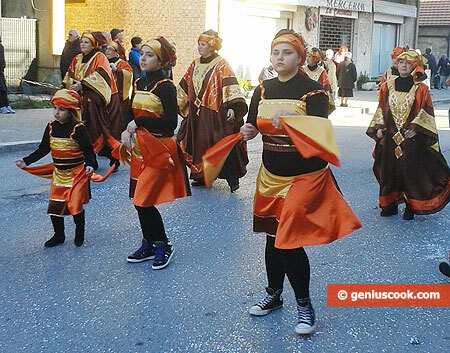 Carnival processions accompanied by energetic music, dances, songs, scattering sweets and colored confetti, fashion shows. 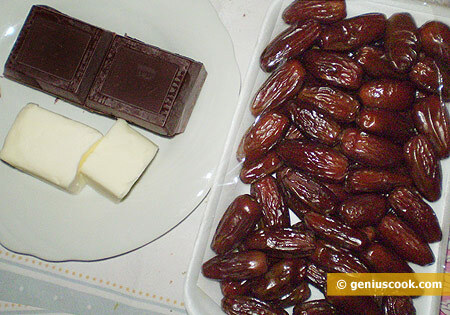 Everything ends up with gluttony. 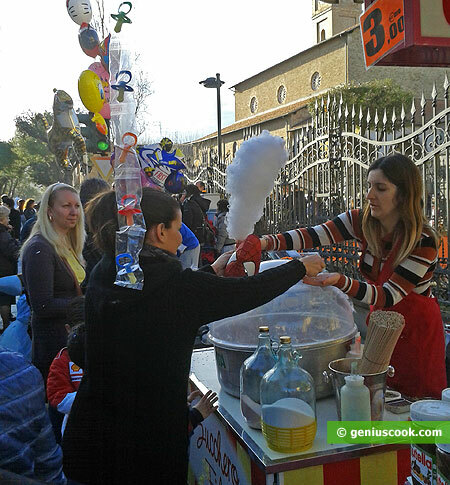 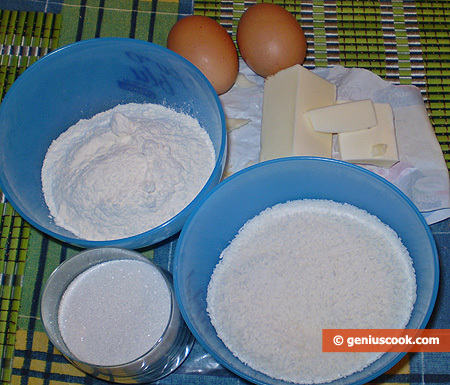 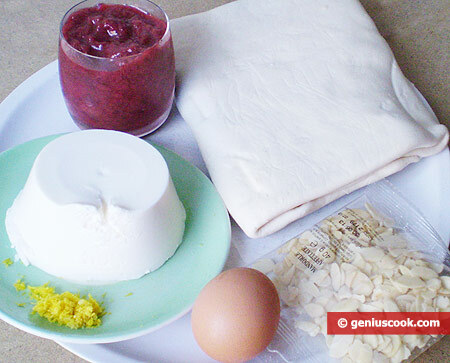 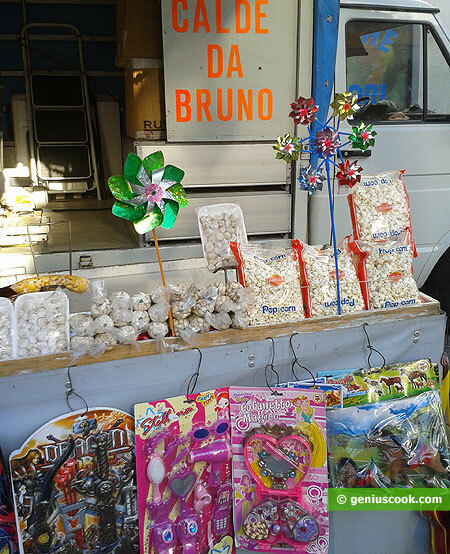 At each corner, they sell cotton candy, roasted peanuts, cookies, biscuits, and pancakes. 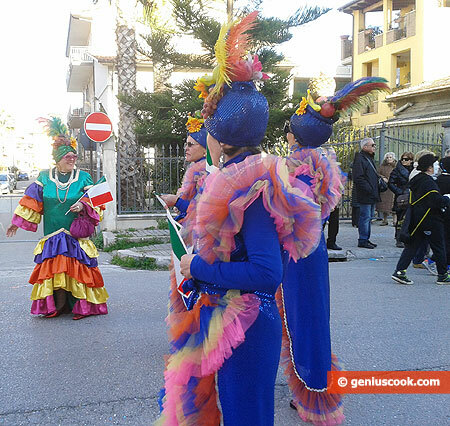 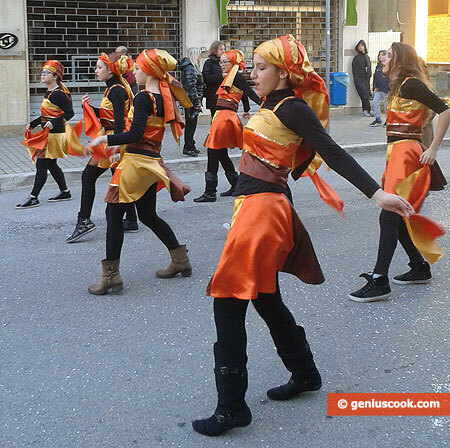 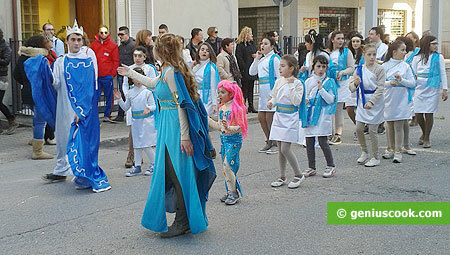 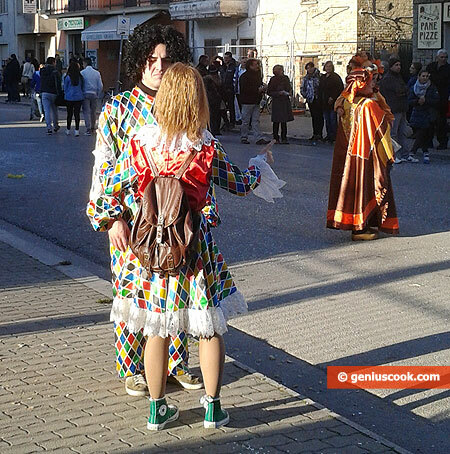 The streets are full of people dressed in colorful costumes. 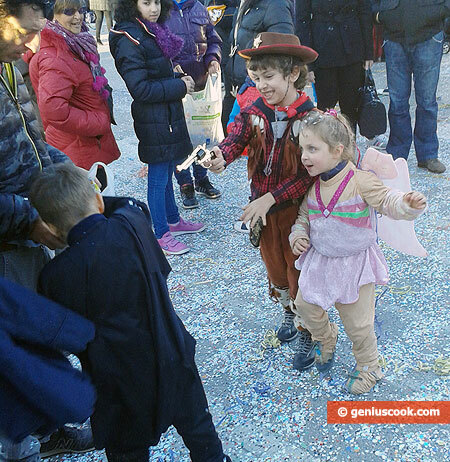 Everyone has much fun. 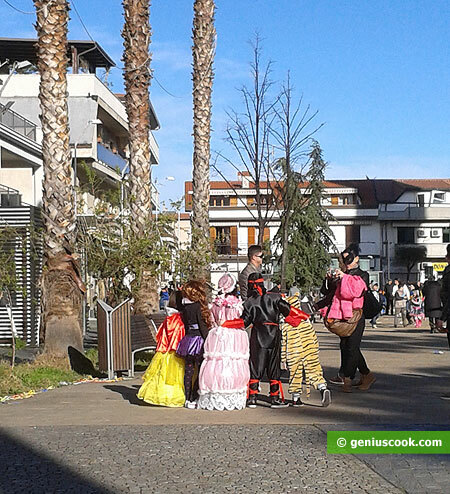 Many sew their costumes themselves and wait for the holiday for the whole year. 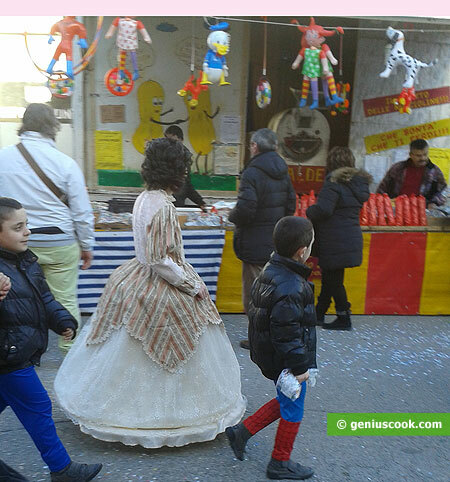 We have been to the carnival and have made a photo-reportage. 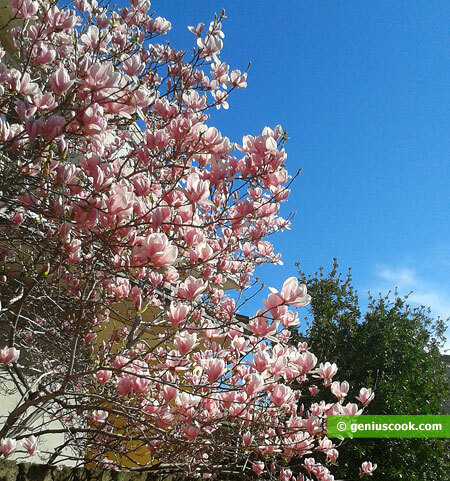 When we came to the central square, we saw a gorgeous magnolia. 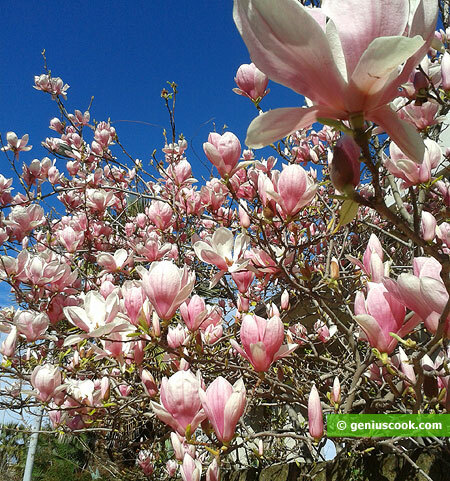 The tree was all strewn with luxuriant flowers.